MindLink, a social collaboration platform from Formicary Collaboration Group, is designed to encourage secure, team communication and collaboration within an in-place Microsoft environment. Specializing in social collaboration, MindLink creates a streamlined environment for intraorganizational group discussions via social networking opening up opportunities for peer-to-peer connection at the individual level. • Live communication streams from internal or external sources delivered into team content and communications streams. • Subscription customization allowing employees to subscribe only to the most relevant channels thus reducing email overload. Users can also create individual conversation streams focused on individual projects and interests. 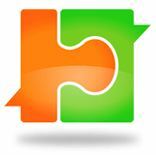 • Conversation tools are accessible from a central hub for easy availability. • Allows employees to update colleagues of availability and location at all times. • Conversation histories are stored and searchable.